Few relatively minor public artworks have sparked as much controversy from their inception as the Alexander Lyman Holley monument in Washington Square Park. Yet today, ask any of the dozens of joggers, dog walkers, chess players or musicians who frequent the Park who Alexander Holley was and not a one will have an answer. An undeniably brillant man, Holley was born in Lakeville, Connecticut in 1832. The first engineering graduate from Brown University, he learned of the English engineer Sir Henry Bessemer's new process of manufacturing steel. The method was not only cheaper, it could turn out vast quantities. Holley traveled to Britain in 1863, securing the U.S. rights for the Bessemer process. Upon his return he built the Bessemer Steel Works in Troy, New York between 1864 and 1865. Holley's engineering mind was unrivaled and he pinpointed several areas in which the process could be improved and designed immense manufacturing machines to handle the production. Of the 15 patents he received in his lifetime, two-thirds were for improvements to the Bessemer process. What this all meant for the U.S. was rapid-fire growth of railroads, bridge construction, ship building and economic strength. At the age of 49 he died in his Brooklyn Heights home from, according to The New York Times obituary on January 30, 1882, "peritonitis, due to a complication of diseases" after becoming sick in Europe. Henry Ward Beecher, popular pastor of the day and brother of Harriet Beecher Stowe, officiated at his funeral. International fund raising for a memorial started almost immediately, spearheaded by three professional groups in which he had been active: The American Society of Civil Engineers (he had been a vice president), The American Society of Mechanical Engineers (he had been a founder), and The Institute of Mining, Metallurgical and Petroleum Engineers (he had been a president). And almost immediately the controversy began. Grand monuments had, for the most part, been reserved for statesmen and military heroes. Holley was not only an engineer, albeit a great one, he was essentially unknown to the general public. 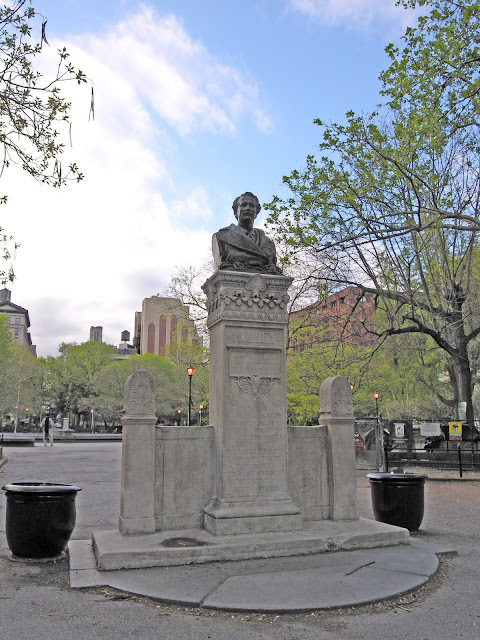 Six months before the unveiling The New York Times complained in an April 24, 1890 article that public space was becoming too scarce to be wasted on statues of persons whom, for the most part, no one knew. Editors from other newspapers echoed the sentiment. Nevertheless the monument was completed. The bronze bust was sculpted by John Quincy Adams Ward who, in 1882, had completed his masterful standing statue of George Washington downtown at Federal Hall. 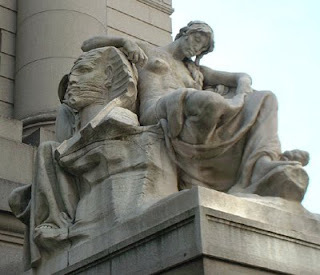 The bust sits on a three-part Beaux Arts pedestal of Indiana limestone designed by Thomas Hastings who had recently left the architectural firm of McKim, Mead & White to go into partnership with John Carrere. A small procession from 18th Street to the park kicked off the unveiling on October 2, 1890. At the dedication ceremony, which was scheduled to coincide with an international convention of the iron and steel industry, James C. Bayles, chairman of the Institute of Mining, Metallurgical and Petroleum Engineers, shot back at the critics. "Our heroes are not alone those who have repelled invasion..." he argued, and then added with what would shock today's green-minded environmentalists, "...but in a better sense those who have made the great forest of nature subservient to our purpose..."
In an unveiled reproach, he compared the lofty effort to memorialize Holley with the less ideal activities of politicians. "Perhaps its presence will not be without significance in a city where the petty struggles of parties and factions for brief and inglorious supremacy waste so many lives and occupy so large a share of our thoughts." Once the monument was in place and dedicated, one would expect the controversy to subside. And so it did for a while. But then on August 6, 1901 The Times stirred the pot again; by now defending the memorial as artistic, but disparaging its placement. 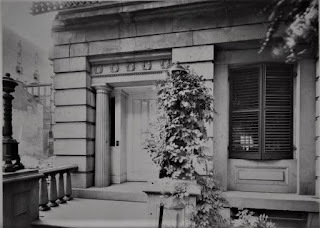 "On a side-path," it wrote, "in Washington Square facing a vulgarly ornate frame cottage which has some purpose in connection with the administration of the park and the storage of lawn mowers, rakes wheelbarrows, and the like, stands the beautiful memorial bust of Alexander Lyman Holley, on a pedestal of unusual excellence. In a modest way it is one of the most charming and attractive of the monuments of New York." The editor went on to lament the condition of the memorial. "It is not well cared for. The pedestal is marred and begrimed, and it gives every evidence of neglect. The eyes, ears and corners of the mouth are occupied by the white coccoons of the caterpillars from the surrounding trees, giving it a grotesque appearance calculated to excite the passer-by to laughter." Not only did The Times object to the choice of Washington Square for its setting, but its placement in the park as well, directly across from the "bronze contortionist," the statue of Garibaldi. "The beautiful Holley Memorial...suggests an orchid in a kitchen garden." 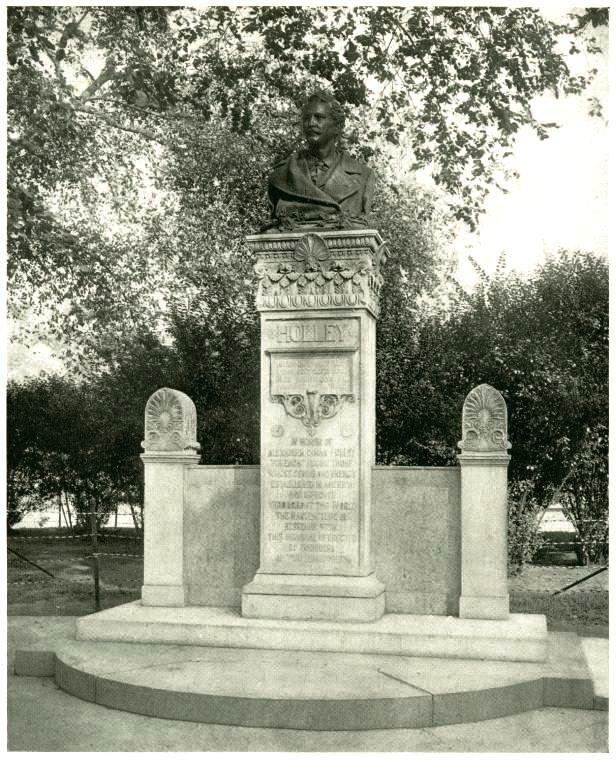 The editor accused the Park Commissioners for assigning the memorial a site as "inconspicious as possible, for the reason that they had no idea who Holley was and knew only that he had had no ostensible identification with Tammany." The New York Times insisted on correcting the insult. "The proper place for the Holley Memorial is in the grounds of Columbia University, perhaps in front of the beautiful library building." The Times never got their wish. The Holley Monument remains where it was placed in 1890. The several swirling controversies around it died away. In the middle of the 20th Century New York University students held an annual tug-of-war in the park that attracted thousands of onlookers. The loser was doomed to kiss the bronze lips of Alexander Lyman Holley. 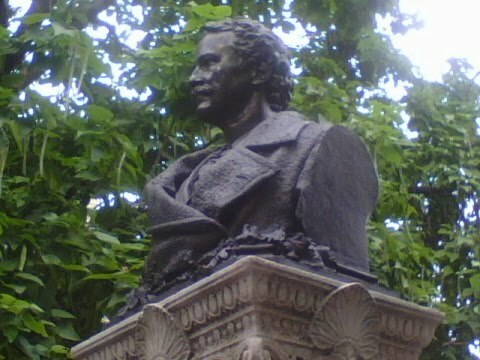 The memorial was restored in 1999, despite which no one in the park knows who Alexander Lyman Holley was. Darius Ogden Mills knew about working to improve one's condition in life. Starting out as a clerk in North Salem, New York he followed the California Gold Rush in 1848 not to join in the risky business of mining, but to establish businesses essential to the miners -- first opening a bank, then the Virginia and Truckee Railroad (the only connection between the Comstock Lode and the Union Pacific Railroad). And then more banks. By the time of his death in 1910 he had amassed a fortune of over $34 million. Upon his return to New York City and retirement, Mills turned his attention to philanthropic works and the social reform movement that was becoming popular with progressive-minded activists towards the end of the century. He was most concerned with the plight of working-class men who struggled to make ends meet. According to The New York Times on November 27, 1898 "He saw that men capable of earning barely enough to eke out a living amid unclean and unhealthful surroundings were dangerously near pauperism or criminality." 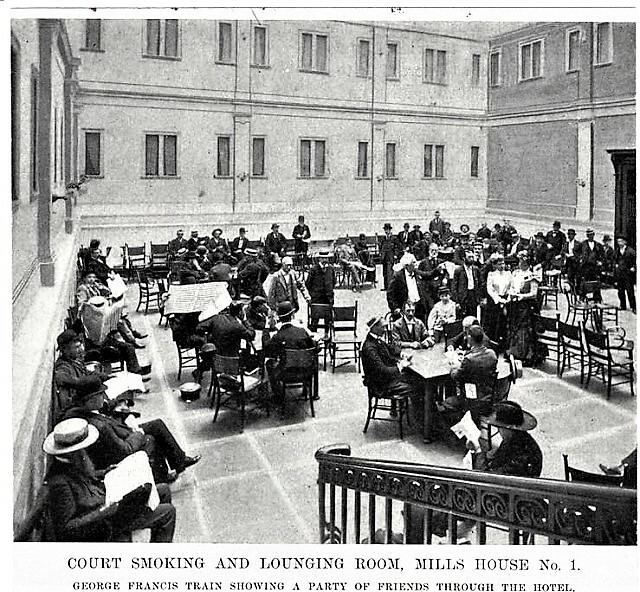 Mills envisioned clean, healthful hotels in which men could get themselves on their feet. "One of my objects," he said, "was to encourage men of limited means to practice economy by enabling them to live comfortably at a very small outlay." 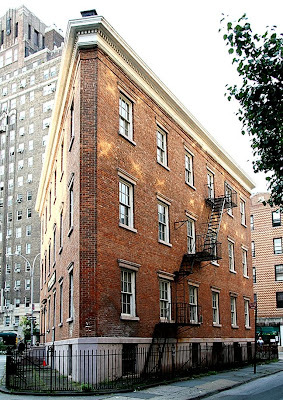 For his Mills House #1 (there would be two others in time), he targeted the block on Bleecker Street between Thompson and Sullivan Streets where the dilapidated Depau Row sat. When Depau Row opened in 1840, the six refined, connected homes offered their owners class and luxury. An 1840 ad for one of the homes marketed it as "finished in a costly manner, the hall lined with Italian marble." Uniquely, all of the drawing rooms in the six houses had connecting doors which could be thrown open for huge parties or balls, creating a block-long suite. A. T. Stewart, the dry goods magnate lived in No. 6 before building his marble mansion on Fifth Avenue. Most unusual, however, was the two-story veranda of ornate ironwork running the length of the building -- reminiscent of New Orleans or Charleston. By the time Mills eyed the property, however, it was decrepit. The Galveston Daily News reported that in the 1890s many of the rooms were sweatshops "inhabited by scores who filled the high-ceilinged rooms with the odors of garlic." One bedroom, it noted, housed a family of five in squalor under the original trompe l'oeil painted ceiling. In 1896 Mills razed the houses and began construction on Mills House #1, employing architect Ernest Flagg. His choice of Flagg resulted from the architect's progressive interest in advancing sanitation and health through his designs. For improved ventilation Flagg employed two ten-story airshafts, or smoking courts, covered with huge glass skylights that could be opened or shut as the weather demanded. The walls of the 1,554 rooms did not meet the ceiling in order to enable air circulation throughout. Each small, clean room was offered for 20 cents a night. Social reformer Jacob Riss commented that "His room is small, but the bed for which he pays twenty cents is clean and good. 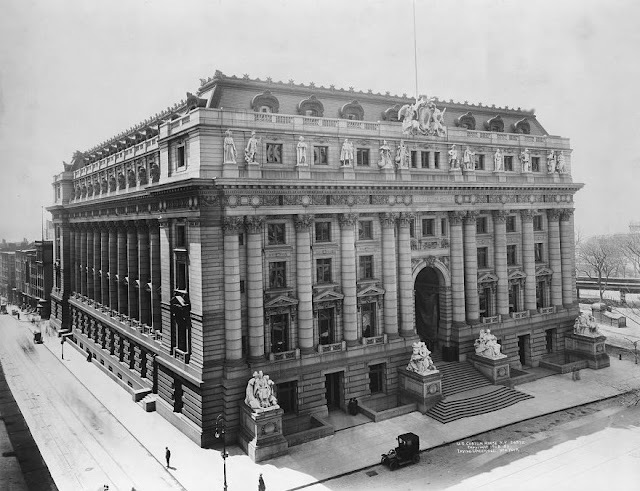 Indeed, it is said that the spring in it was made by the man who made the springs for the five-dollar beds in the Waldorf-Astoria..." For the cost of a room the men could also enjoy smoking and writing rooms, a library, "baths when he feels like taking one," and a laundry to wash his clothes. By offering these free distractions Mills hoped to divert the men from less appropriate pastimes like saloons or worse. Although he was giving the men a helping hand, Darius Mills insisted that they help themselves. "No patron," he said at the opening ceremony, "will receive more than he pays for, unless it be my hearty good-will and good wishes. It is true that I have devoted thought, labor and capital to a very earnest effort to help him, but only by enabling him to help himself." He had no intention of encouraging sloth -- every resident should be out during the day either working or seeking work. For that reason the hotel was locked from 9 am until 5 pm. In the basement was a restaurant where, for 15 cents the roomer could enjoy a full cooked meal. The roomers could have two hot meals and a bed for the total cost of only 50 cents a day. For decades Mills' pioneering concept of helping men by enabling them to help themselves rather than by giving charity flourished at Mills House #1 and the two subsequent Mills Houses. In the 1970s the building at 160 Bleecker was converted to apartments; however the facade remains virtually untouched including the deeply overhanging copper cornice with its graceful scrolled iron supports. Inside, the roomy courtyards and great glass skylights survive -- reminders of a time a century ago when men, hard on their luck, found an affordable place to stay. For Theodore Roosevelt, the newly planned police station in Greenwich Village would be the first built under his command as New York Police Commissioner. It would also be the first station designed in over 30 years by someone other than Nathaniel D. Bush who had retired just a year earlier. Bush's long-term position as architect for the NYPD resulted in several carbon-copy precinct houses built between 1862 and 1895. The new project was given to architect John DuFais, although not without considerable and sometimes heated debate. The New York Times on January 23, 1896 reported of a stormy meeting "of the Sinking Fund Commissioners" in the mayor's office. While DuFais had worked on the State Capitol building under Edwin Wheelright and from 1879 to 1885 was head of design for Tiffany Glass and Decorative Co., the members of the board were unfamiliar with his work. The new station house had a projected budget of $100,000 and Controller Finch insisted on a second consulting architect to oversee the job. Referring to the additional cost of a second architect, the Controller argued "We intend to oversee the building of that station, even if it cost $10,000 more. Mr. Dufais may be a very good architect, but, unfortunately, he is not known to us." After the Commissioner and the Controller embroiled themselves in what The Times called a "war of words," DuFais was given the commission without a partner. Completed in 1897 the station was a grand edifice; surprising for its location in a non-affluent neighborhood and only blocks from the waterfront. 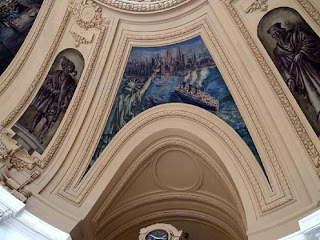 DuFais created a reserved, stately Beaux Arts edifice for what was then the 9th Precinct -- a building worthy of wealthier neighborhoods like Murray Hill. Grand polished granite columns flank the entrance supporting a balcony above a wide staircase from the street. 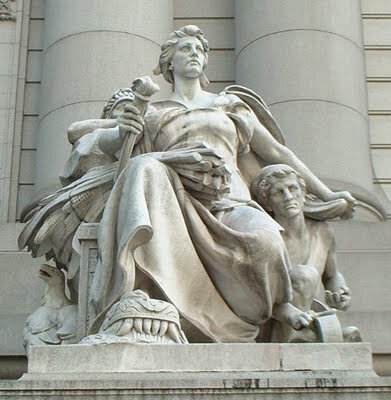 Above, the Seal of New York stands out in full relief. With perfect symmetry, the main station house rises from two floors of coursed stone to three additional stories of yellow brick trimmed with white stone. The central section is recessed approximately six feet for visual appeal. Connected to the house were a stables and a prison. Over the years the precinct was renumbered several times, becoming the 14th Precinct in 1908, the 5th Precinct in 1924 and finally the 6th Precinct in 1929. As the decades progressed, the Village changed and the station house became the scene of much action. Detectives form the 6th Precinct disguised themselves as "beatniks" in 1959 to catch marijuana smokers. It worked. Thirteen pot smokers were herded in to the station house and the ploy made local headlines. The Village Voice reported "The men booked at the Charles Street station apparently took their arrests in the prevailing spirit of good fun and put on an impromptu bongo party." According to one of "The Bleecker Street leather jackets," said the newspaper "the cops put on a real cool show -- I didn't know it was in them." Less positive press came with the infamous Stonewall Riots in 1969. On Friday June 27, plainclothes police and detectives had been sent to the Stonewall Inn to confiscate cases of liquor. According to Deputy Inspector Seymour Pines at the time, the bar, a known gay establishment, was operating without a liquor license. Ask any of the 200 men who were expelled from the bar and they would tell you it was police harassement. Whatever the case, within an hour the number grew to around 400 angry gay men who fought the police in what was the beginning of the Gay Rights Movement. Four policemen were injured and thirteen civilians arrested that night; however the raids and the protests continued for weeks. On March 7, 1970 an illegal immigrant, Diego Vinales, was arrested with 166 other patrons of a gay club, The Snake Pit. Vinales was so terrified of being deported that he threw himself out a second story window at the Charles Street Station House, impaling himself on the cast iron fencing below. The fence was cut away with a blow torch so he could be transported to the hospital. Vinales survived and was not deported. In 1969 the 6th Precinct left the Charles Street Station for a new, uninspired yellow brick box on West 10th Street. It sat empty for nine years until being sold at public auction in November 1976. Yugoslavian-born contractor Slavko Bernic purchased the old station house for $215,000 and restored the facade the following year. The complex was gutted and redesigned by architects Hurley & Farinella into an apartment house with the tongue-in-cheek name "Le Gendarme." Life was good for James DeLancey during the British rule in New York. He owned an estate in Westchester County, property in Manhattan and a farm north of the city. His problems started with the American Revolution. Wanting to cover all his bets and unsure of which side would win the conflict, DeLancy straddled the political fence. He secured a seat in the New York Assembly in 1768 by winning the support of the Sons of Liberty who rallied against British control. In the meantime, however, he was rubbing shoulders with the Crown, meeting secretly and assuring his loyalty. That all ended when in February 1775 he was exposed as a loyalist in the legislature. By May he had left New York never to return. On March 6, 1777 the Provincial Congress appointed Commissioners to "take into their custody & possession all the personal property" of loyalists with ten days' notice. The families were allowed to keep their clothing, a few pieces of furniture and three months' provisions. Everything else was sold at public auction. Things got worse for the loyalists when, on October 22, 1779 the Congress passed "An Act for the forfeiture and sale of the estates of those who have adhered to the enemies of this state." Loyalists were banned from the state under penalty of death "without benefit of Clergy." When the Commissioners of Forfeiture auctioned off DeLancey's property in 1785, estimated at $50,000, Edward Mooney was there. A high-profile player in the colonial wholesale meat business, he was also the representative of the City's butchers in the Society of Mechanics and Tradesmen. He purchased the lot at the corner of Bowery and Pell for his new residence. Mooney built his house sometime between the auction date, just after the British fled New York, and 1789, the year Washington was inaugurated on Wall Street. It represents the newer Federal architecture while holding on to some of the traditional Georgian designs. A beautiful deeply-set arched Georgian doorway flanked by slender columns displays a fanlight with delicate spiderweb tracery. As with the stone window lintels, a double keystone block crowns the entrance. Between the paired chimneys on the Pell Street side, an arched window with its original 18th Century mullions is flanked by two quarter-round windows. Inside, beneath the handsome gambrel roof the hand-sawn timbers can be seen. A few interior details original to the house remain including window trims and frames. Edward Mooney lived in his house until his death in 1800. Seven years later the size of the house was doubled by an addition to the rear. The original oval-shaped handrail on the staircase in that section still exists. By the 1820s the house had been converted to a tavern and would never again be used as a private residence. During the 20th Century it went through many transformations including a hotel, poolroom, brothel, store, restaurant and a Chinese club. Through it all the exterior of the house remained virtually unaltered, save for the unfortunate green metal entrance door seen today. Upon designating the Mooney House a landmark in 1966, the Landmarks Preservation Commission remarked that it "has a special character, special historical and aesthetic interest, and value as a part of the development, heritage and cultural characteristics of New York City." 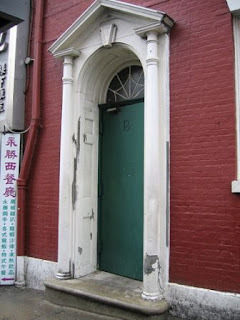 It added that it is the only extant townhouse from the American Revolutionary period. The neighborhood has drastically changed. Once part of a quiet street of 18th Century homes, the Mooney House is now surrounded by New York's bustling Chinatown. One of the last survivors of colonial New York, it was restored in 1971 and today houses a bank. By 1900 the atmosphere of Greenwich Village had changed from one of comfortable residences in bucolic settings to tenements with, in some cases, squalid conditions. While in other sections of the city Italian, Jewish or Chinese immigrants clustered together, the Village had an unusually heterogeneous mix of races and cultures. Mary Kingsbury Simkhovitch graduated from Boston University in 1890 and immediately threw herself into social reform. She arrived in New York City to work in settlement houses, a new concept among the progressive social-minded to improve the living conditions of the poor. Upon witnessing the deprived circumstances of Greenwich Village which had the densest population in the city, she decided to start her own center. 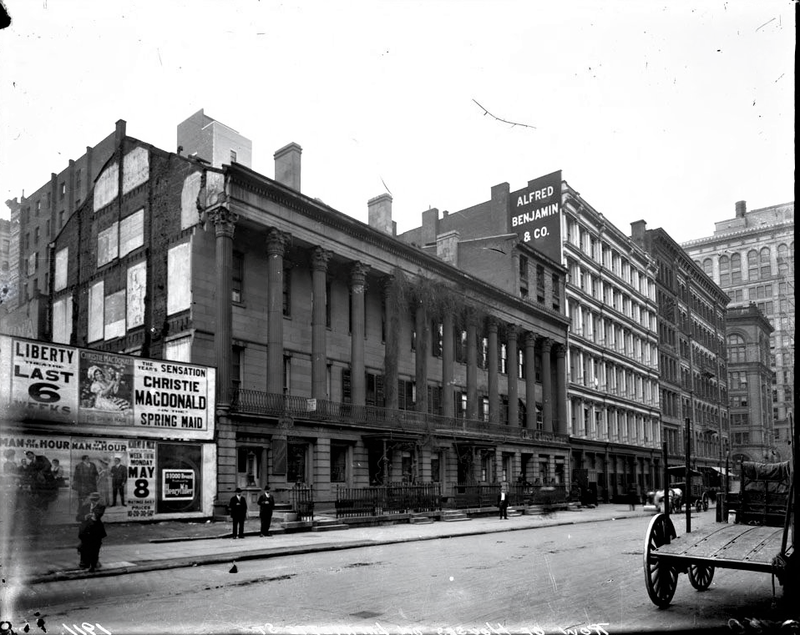 Recruiting the help of social reformers like Carl Schurz, Felix Adler and Jacob Riis (whose stark photographs of slum life and tenement interiors startled the nation) she founded Greenwich House. 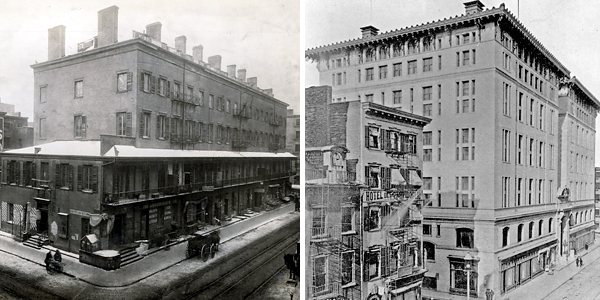 With the immediate goal of improving the lives of the impoverished Greenwich Village immigrant population, it opened on Thanksgiving Day 1902 in a renovated tenement building at 26 Jones Street. 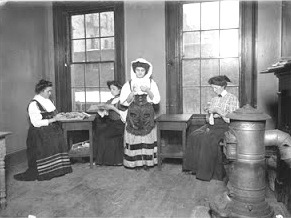 The House offered free instruction to women on housekeeping, lace making, reading, language, and other areas that would help them improve their own lives. All the while Simkhovitch worked to reduce the appalling infant mortality rate. She relentlessly fought for playgrounds, sanitation, child labor laws and overall improved living conditions. Within the first year the Greenwich House's Social Investigation Committee published The Tenant's Manual, the first guide to tenants' rights and tenement law. Drawing from the concepts of the City Beautiful movement that endorsed an environment of "civilized" buildings to foster civilized behavior, a permanent structure was planned. 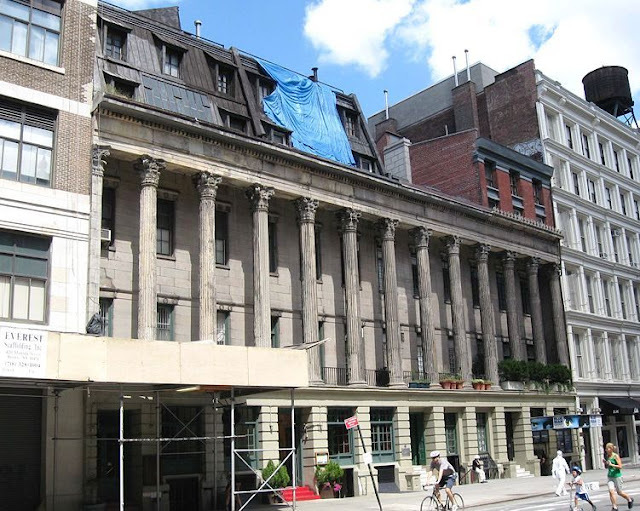 Architects Delano & Aldrich, known for their reserved, sophisticated buildings, designed a red brick neo-Federal structure with white marble trim to be located at 27 Barrow Street. 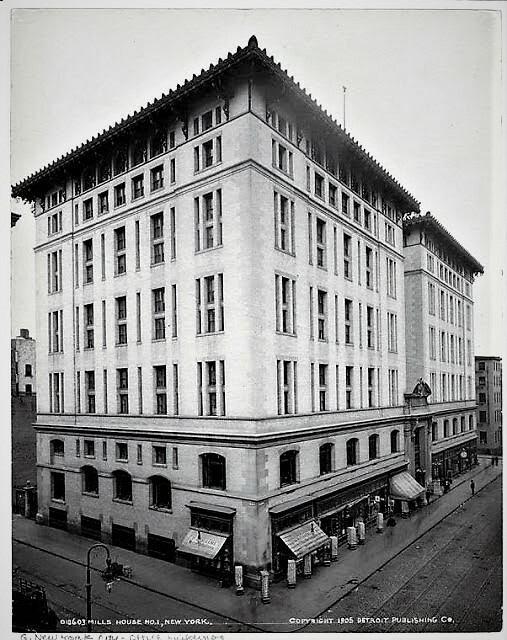 Opening in 1917 it incorporated interior murals by Arthur Watkins Crisp, early American detailing and cutting-edge amenities for the neighborhood's poor. On the top level was a running track and gymnasium, the first floor housed an auditorium, there was an art studio and rooms for the 14 social workers on staff. 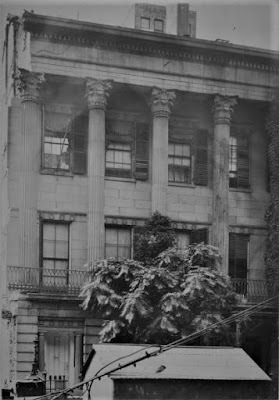 Noted artists and patrons such as Gertrude Payne Whitney, Eleanor Roosevelt, and Daniel Chester French supported Greenwich House's arts programs; the theory being that the arts were a viable stimulus to cultural enrichment. Greenwich House Pottery took root here and remains today a respected name in the world of pottery. 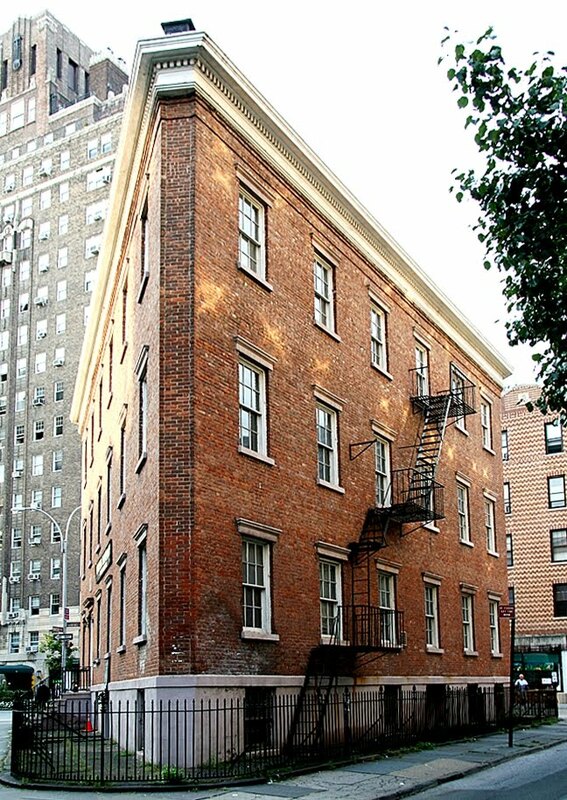 As the Greenwich Village neighborhood changes, the Greenwich House remains. The interior has suffered from nearly a century of use, the Crisp murals have been painted over and exterior could use some tender loving care. 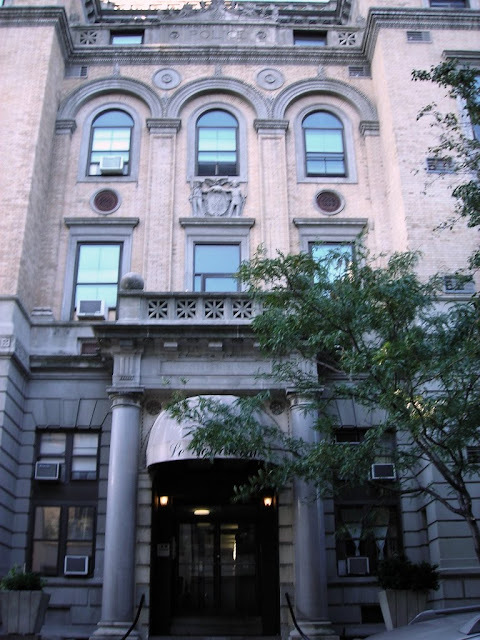 But the old settlement house still continues on its mission of improving the lives of its neighbors. In the 18th century in England, elegant rowhouses designed to appear as a single structure began appearing in fashionable cities like Bath. By the Regency period London's wealthy were living in similar developments along Regent's Park designed by leading architects like John Nash. The idea took root in New York City with La Grange Terrace. At the turn the 19th century Lafayette Place extended only as far north as Great Jones Street. In the area between Great Jones and Astor Place was an entertainment hall, Vauxhall Garden, established by Frenchborn Mssr. Delacroix who offered a variety of amusements. John Jacob Astor purchased the plot in 1804 for $45,000 and Delacroix continued to pay rent on the space for another 20 years. By 1826 Lafayette Place was extended north where it ended in a cul-de-sac at Astor Place. Here, in 1831, Seth Green, an Albany builder and speculator, envisioned the grandest homes outside of London. 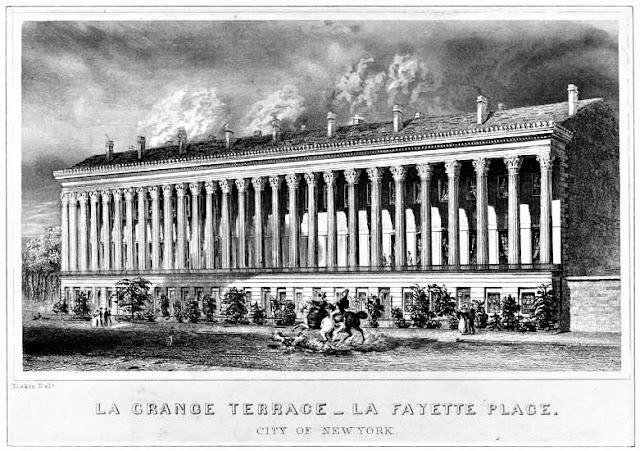 The nine houses he began building would become known as La Grange Terrace, named after the country estate of Marquis de Lafayette. When completed in 1833 in what by now was the fashionable Bond Street area, they were unparalleled. Clad entirely of white marble they boasted 15-foot deep yards to the front. 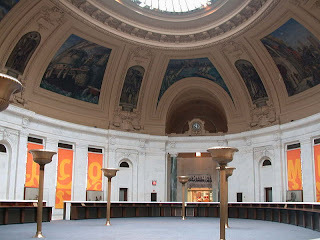 The first floor projected eight feet, above which a two-story high colonnade of Corinthian columns (cut by prisoners from Sing-Sing) supported the cornice. Tall French doors opened onto the balconies where the columns were connected by wrought iron railings. Elegant marble wreaths lined up over each door and window lintel and carved antefixae lined the roofline. Low marble porches extended to the sidewalk. Each 27-foot wide residence had 26 rooms. Astonishingly, the owners enjoyed an ingenious form of central heating, indoor toilets, a "bathing room," and both hot and cold running water -- comforts that would not become common for nearly a century. Inside mahogany doors swung on silver hinges. Marble mantles were installed under deep plaster ceiling details and carved Grecian columns separated the parlors. The row became home to come of the city's most esteemed families. John Jacob Astor II took possession of No. 424. Cornelius Vanderbilt and Washington Irving lived here as did Warren Delano, grandfather of Franklin Roosevelt. And when President John Tyler courted Julia Gardiner, it was at her father's home at No. 430. Across the street the Astor Library was built and, nearby, the Opera House. In 1851 Israel Underhill purchased Nos. 43 and 45 and transformed the residences into a "family hotel" called The Oriental for members of the upperclass who did not care to "keep house." Here wealthy families could enjoy the status of the address and the comforts of the Terrace without the bother of maintaining their own staff of servants. The trend of New York's priviledged, however, has always been to move northward ahead of the commercial district. By the 1860s millionaires moved northward into Murray Hill and Fifth Avenue. The Bond Street district began changing as the wealthy, one-by-one, left La Grange Terrace. 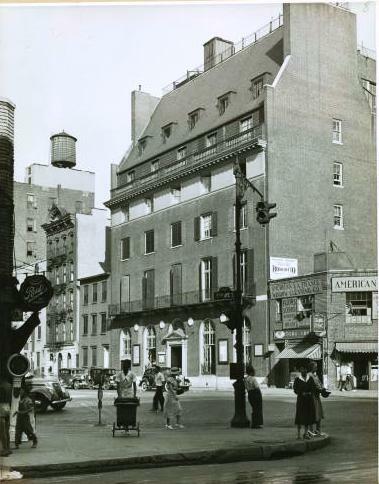 In 1875 the five southern-most houses became The Colonnade Hotel with an entrance on Broadway. By the turn of the century they had been dynamited, leaving only the four houses that remain today. The Oriental lasted as a boarding house until 1915, a few years after the Lagrange porches and yards had been stripped away to enlarge the sidewalk. In 1918 an unsightly two story addition was added to the roof of Nos. 42 and 43. The demise of the grandest residential development in city history was well on its way. Ignored and forgotten La Grange Terrace, which at some point began being known as The Colonnade, continued to deteriorate. A hodge-podge of shops infiltrated the street levels. The marble, attacked by acid rain and vehicle exhaust, eroded. Floors sagged. The graceful marble artefixae along the cornice fell away until today they exist only on the northernmost house. 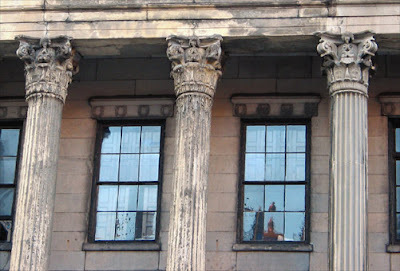 In 1965 the Landmarks Preservation Commission gained landmark designation for La Grange Terrace, touting it as "...four remaining town houses which are unified in appearance by a beautifully executed two-story Corinthian colonnade. The group is one of the treasures of our architectural heritage and is a superb example of civic-minded planning." Unfortunately, landmark designation does not ensure preservation nor restoration. Today the once-imposing marble houses are in a heartbreaking state of deterioration. But even in their present condition, they are a remarkable relic of an elegant age. 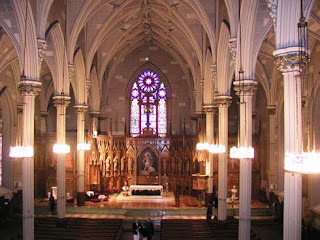 Despite New York City's heavily Protestant beginnings, by the turn of the 19th Century the Roman Catholic population was burgeoning and had earned a bishop. The diocese commissioned French-born architect Joseph-Francois Mangin to create the first Catholic cathedral in America. Mangin, in partnership with John McComb Junior, had recently completed the design of City Hall. The cornerstone of the cathedral was laid on June 8, 1809 and the completed church was dedicated six years later on May 14, 1815. 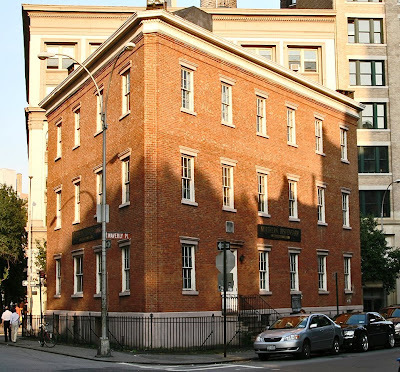 Mangin's finished structure on the corner of Prince and Mott Streets reflected the influence of his French heritage in a decidedly Federal design. Two quasi-towers rose on either side of the entrance forming a broken pediment pierced by an enormous gothic window with graceful mullions. 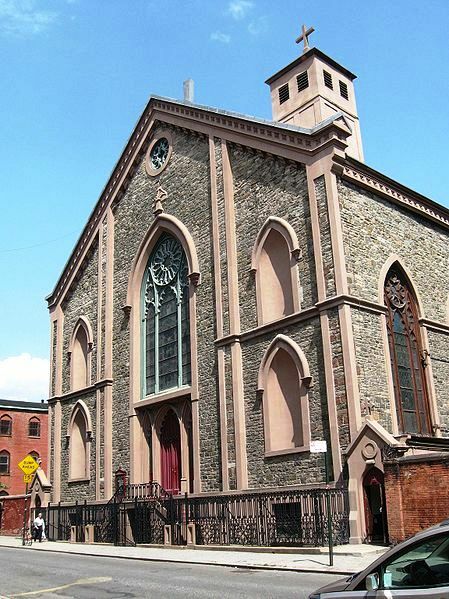 The New York Gazette reported upon its opening that it was "a grand and beatiful church, which may justly be considered one of the greatest ornaments of our city..."
Named for the patron saint of Ireland, anti-Irish prejudice threatened it nearly from the start. In response the Ancient Order of Hibernians established its headquarters across the street from the cathedral, for one reason, to protect it. That protection became necessary in 1844 when anti-immigrant and anti-Catholic mobs moved on the church in an attempt to burn it. Bishop John Hughes assembled the Hibernians and other parishioners behind the brick wall surrounding the cathedral. The defenders punched holes in the wall for their muskets and fought back the rabble who were chanting "paddies of the Pope" and other deriding slogans. Nevertheless, the crowd managed to smash many of the fine glass windows with flying bricks and stones. Not to be intimidated, the Bishop wrote to Mayor James Harper threatening "Should one Catholic come to harm, or should one Catholic business be molested, we shall turn this city into a second Moscow," referring to Napoleon's somewhat recent seige of that city. As the decades passed, St. Patrick's burial yard and the crypts and tombs in the labyrinth below the church became the final resting place of early New York notables. Buried here is Haitian-born slave Pierre Toussaint, currently being considered by Rome for sainthood. Although his was the largest church in the City, Bishop Hughes yearned for a more magnificent cathedral. 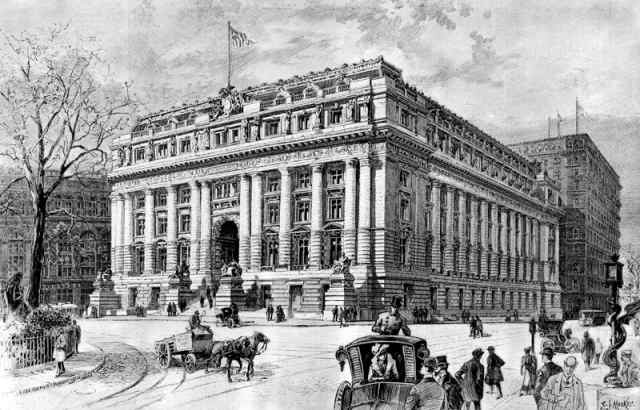 The plot of land on 5th Avenue and 50th Street, around which brownstone mansions had already begun appearing, was purchased in 1852. Nevertheless, that same year he had eminent organ-builder Henry Erben install a new pipe organ in the existing church. Work on the new James Renwick-designed cathedral started in 1859 but it would be nearly two decades before it was completed. Meanwhile the congregation downtown grew. 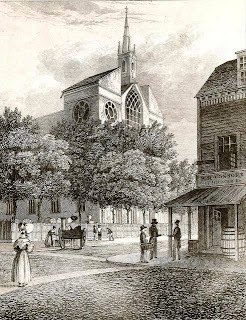 On April 1, 1861 The New York Times reported on the crowds at Easter mass. 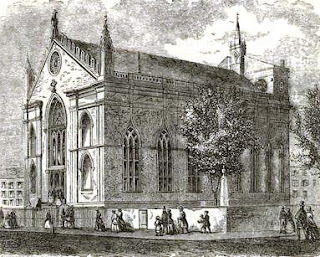 "Many persons were obliged to depart without having effected an entrance to the building, and the patience of the obliging Seaton and his corps of assistants was sorely tried by the persistent and sometimes obstreperous applications for admission, so eager was the desire of the Catholic population to participate in this service." 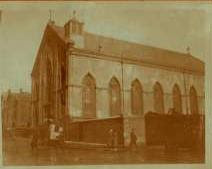 A raging fire ravaged the Cathedral in 1866 and, despite construction continuing uptown, the cathedral was rebuilt. Henry Engelbert was brought in to reconstruct the old church. Although he is best known for his grand Second Empire buildings, he brought St. Patricks back as a boxy Gothic structure, re-dedicated in 1868. Gone were the twin towers and the main Federal-style window, but St. Patrick's emerged with the comfortable, inviting feeling present today. As the cathedral neared completion Henry Erben rebuilt the organ which, with its Gothic-Revival cabinet, is still in use. 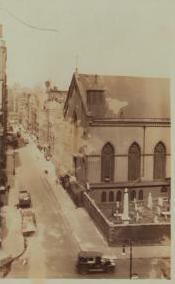 When the 5th Avenue Cathedral was dedicated in 1879 the Mulberry Street cathedral became a parish church. The neighborhood today is a mixture of cultural heritages and ethnicities and Old St. Patrick's remains a vibrant element of that community. 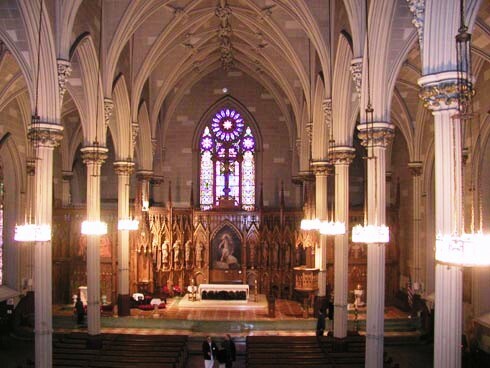 The striking interior of the church was used for the filming of the baptism scene in The Godfather as well as for the scene in The Godfather Part III when the Church bestows an honor upon Michael Corleone. The church was elevated to basilica in December 2010. 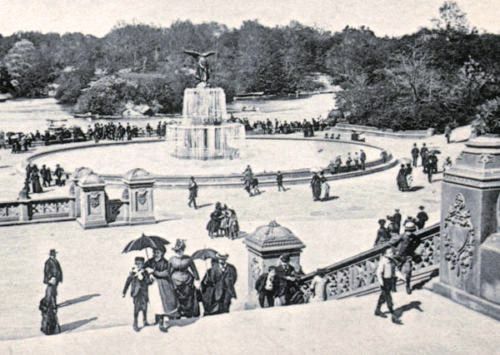 With 29 sculptures in Central Park today, it is difficult to imagine that only one was included in Frederick Law Olmsted's and Calvert Vaux's 1858 Greensward Plan for Central Park. They envisioned an open air "hall of reception" that would be the centerpiece of the park. The Water Terrace, as they called it, would include a dramatic overlook of the lake with two grand stone staircases that descended to a fountain topped by a winged bronze sculpture. The magnificent terrace was begun in 1859, often considered Vaux's masterpiece. Richly carved panels by Jacob Wrey Mould depicting birds and floral motifs compliment the natural surroundings. But the focal point would be the spectacular fountain below. It was to be a celebration of the 1842 opening of the Croton Aquaduct that brought pure drinking water from Westchester in the north, helping to end years of epidemics such as cholera and yellow fever. 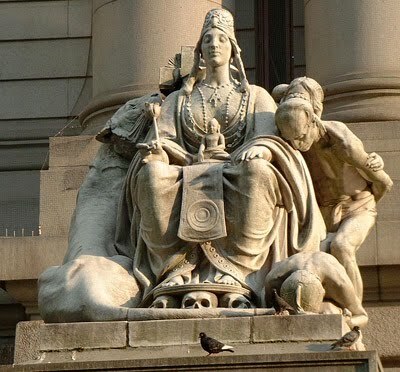 While Vaux designed the base and Mould sculpted the details, including the four 4-foot cherubs representing Temperance, Purity, Health and Peace, the commission for the main sculpture was awarded to Emma Stebbins -- the first woman to receive a major artwork commission from the City. Stebbins' resulting neoclassical angel symbolizes the healing properties of the fresh water of the Croton Reservoir. She holds a lily, a sign of purity, in one hand while blessing the waters below with the other. From her studio in Rome, Stebbins began work on the sculpture in in 1861, just as the Civil War was breaking out in America and slowing construction on the terrace. Cast in Munich, it was finished six years later. 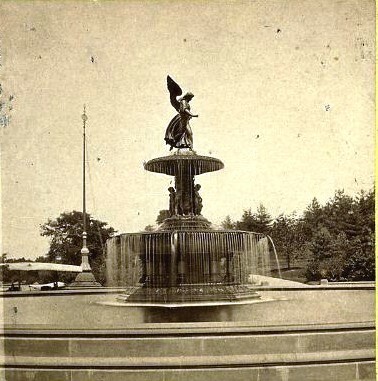 The fountain was not unveiled until the Park's official opening in 1873. The brochure that day quoted the Gospel of St. John "Now there is at Jerusalem by the sheep market a pool, which is called ... Bethesda ... whoever then first after the troubling of the waters stepped in was made whole of whatsoever disease he had." 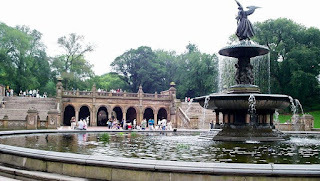 Thereafter The Water Terrace was known as "Bethesda Terrace," and The Angel of Water became "Bethesda Fountain." The fountain, along with Trevi in Rome, is one of the most recognized and famous in the world. It has appeared in scores of movies and in the 1997 Fools Rush In, Alex Whitman played by Matthew Perry refers to the fountain as the place where all of New York passes by. 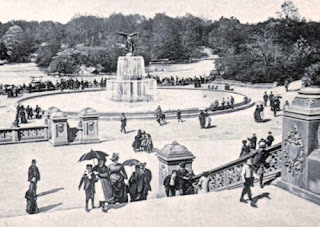 Like much of Central Park, the Terrace and the fountain slid into disrepair and neglect in the 1970s when vandals attacked the stone carvings and the underpass was used for drug dealings. The fountain remained dry for nearly 20 years. Between 1980 and 1981 the Central Park Conservancy initiated a complete restoration -- the stonework was disassembled, cleaned, patched and replaced by sculptors according to the original plans. 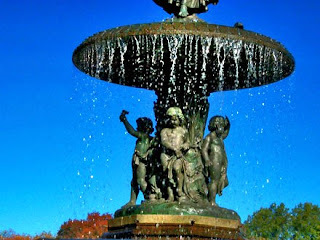 The fountain was cleaned, restored and sealed. It is now washed and waxed by bronze specialists every year. The Angel of Water once again blesses the flowing waters from the fountain at her feet and Bethesda Terrace looks essentially as it did on dedication day in 1873. 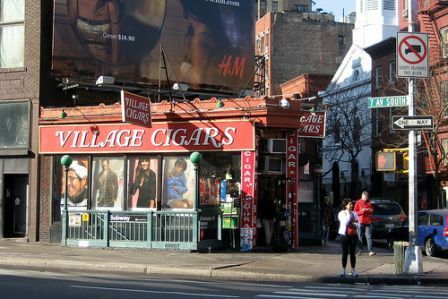 While the neighborhood changes, the Village Cigar store has been an unaltering presence at the sharp point where Christopher Street runs into Seventh Avenue for nearly a century. Slathered with metal signs and often peeling paint, the eccentric little building never seems to change. But more interesting than the building is the mysterious little triangular mosaic imbedded into the pavement just in front of the cigar store's entrance. It is all that remains of a David and Goliath-type struggle of a man who fought City Hall. And won. At the turn of the 20th Century Seventh Avenue terminated at 11th Street in Greenwich Village as originally laid out in the 1811 Commissioners' Plan. The famous midtown grid pattern of streets and avenues was designed by a committee of three in an astonishing example of urban preplanning -- decades before the city would expand that far north. Exactly a century later in 1911, however, civic groups pushed to extend Seventh Avenue south to better connect midtown to downtown as well as to augment the commercial access to the Village. The extension would also allow construction of the IRT subway along 7th Avenue southward. Armed with the power of eminant domain, the City seized property in the path of the projected avenue and, like Sherman cutting through Georgia, demolished everything in its way including buildings like the historic 1840 Greek Revival Bedford Street Methodist Church. And the Voorhis Apartments. 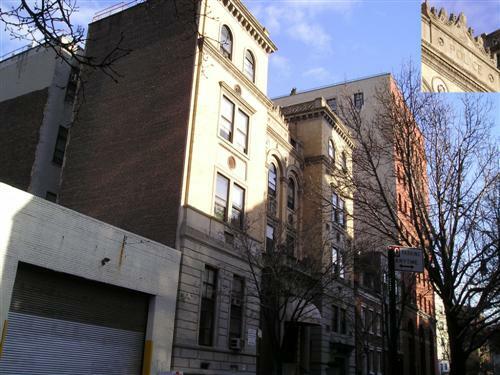 The Voorhis was a five-story apartment building facing Christopher Street and owned by David Hess. Hess fought the City in an attempt to save his building, but lost. All that was left of his property in 1914 was a tiny triangle of land approximately 500 square inches. The City, in an act of what Hess must have considered the ultimate insult, wanted him to donate the little plot to New York to become part of the public sidewalk. Hess refused. The City had taken his building but they could not have his triangle. 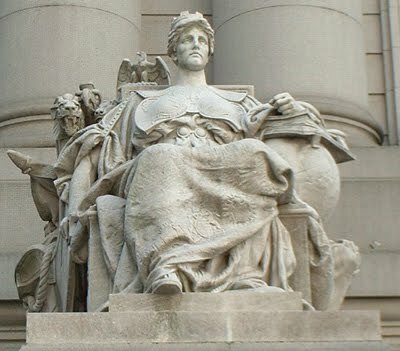 David Hess went to court against the City of New York and won. When the little Village Cigar store went up a few years later, Hess commissioned the in-your-face mosaic. Everyone who stood on that corner would know that David Hess fought and won. 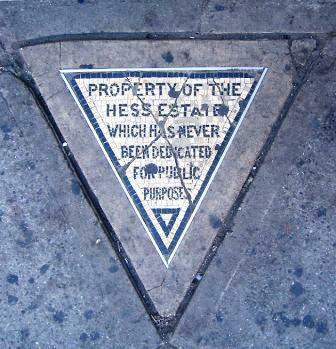 In 1938, having made their point, the Hess Estate sold the tiny triangle to The Village Cigar store for $1000 -- about $2 per inch. Today the Village Cigar store looks exactly as it does in any vintage photograph. Its sole architectural feature is the interesting pressed and painted metal cornice. While not a significant building, it remains an old friend in the Village. And the story of the little mosaic triangle in front of it is priceless. By the 1990s the block of 8th Avenue north of 34th Street had sunk about as low as it would. Bargain and electronic stores took the place of earlier more respectable businesses. 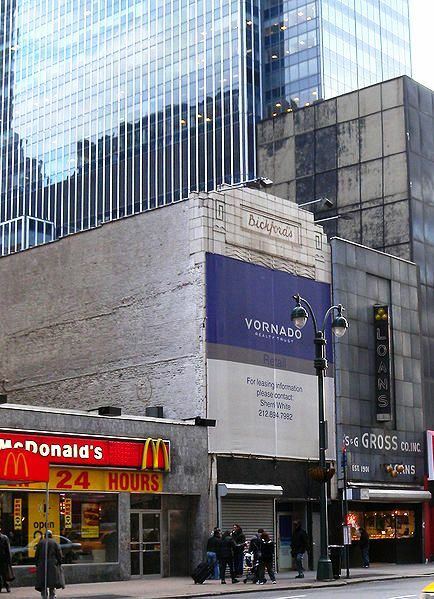 The building at 488 8th Avenue housed an adult entertainment center and was sheathed in a pseudo-modern metal facade. In the late summer of 2000 that metal facade began giving way and had to be removed. What emerged was the long-forgotten Bickford's Restaurant building. Faced in white terra-cotta it rises to an Aztec-inspired Art Deco cartouche. There in large script "Bickford's" can still be read, although the applied lettering was lost long ago. Immediately below, rows of sharp zig-zagging Art Deco waves support the entire design. Bickford's architect was F. Russell Stuckert, son of the architect who designed some of the 1890s Horn & Hardart buildings. Bickford's Restaurants were a mainstay of early to mid-20th Century New York. 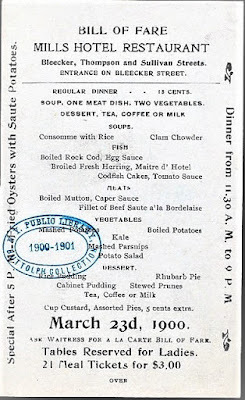 It all started in 1902 when Samuel L. Bickford opened his first restaurant. Within two decades later he owned a chain offering quick food at affordable prices. 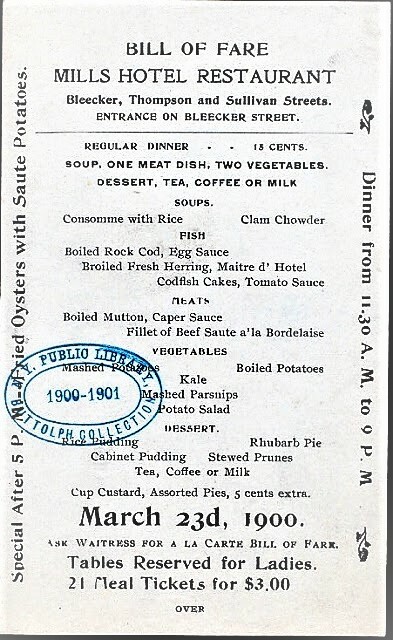 In those pre-Depression days, the company described itself saying "The lunchrooms operated are of the self-service type and serve a limited bill of fare, which makes possible the maximum use of equipment and a rapid turnover. Emphasis is placed on serving meals of high quality at moderate cost." The little building at 488 8th Avenue made the newspapers in 1932 when Bickford's replaced a glass windows using non-union glaziers. In retaliation union members drove past while a passenger shot out the plate glass with a slingshot. The appeal of Bickford's, as well as their rival Horn & Hardart, was good food served quickly in a pleasant environment at an affordable cost. The working class of the nearby 34th Street office buildings flocked in at lunchtime for lamb stew or chopped steak, followed by apple pie or rice pudding. 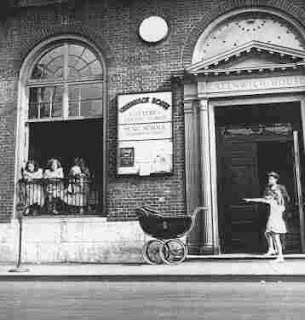 The 24 lunchrooms in the 1920s doubled to 48 by 1960. The restaurants became so imbedded in New York culture that Allen Ginsburg in his 1956 poem "Howl" wrote "I saw the best minds of my generation...Who sank all night in submarine light of Bickford’s..."
Good times naturally come to and end. For Bickford's the end started in the 1960s when crime in New York escalated. Muggers, the iconic black eye of Manhattan in those years, roamed the streets after nightfall. Patrons stayed home at night. Business disappeared. And so did the Bickford's Restaurants. By the 1980s there were no more lunchrooms. 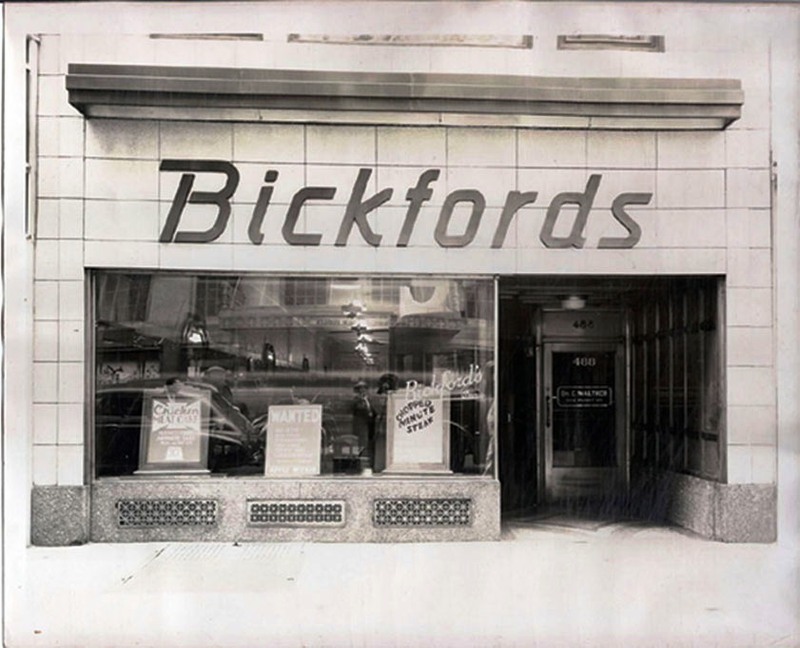 Bickford's was forgotten by an entire generation until the summer of 2000 when a little Art Deco gem came out of hiding. 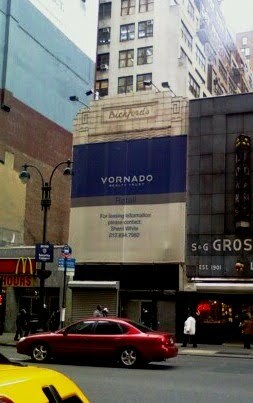 Today the facade is largely covered by a huge Vornado ad and the original street level has been obliterated. But the sleek design of the upper stories remains thankfully intact. The City of New York established a dispensary for the treatment of the poor in 1791 in the neighborhood of City Hall. But as the city grew it quickly became apparent that the single infirmary was insufficient. In 1824 citizens pushed for a provincial branch far to the north in Greenwich Village. After working from a few temporary locations, the nonprofit Northern Dispensary organization was given the peculiar triangle of land formed where the Y-shaped Waverly Place runs into Grove and Christopher Streets. In handing over the plot, the City placed a stipulation on the property: it was to be used solely for the purpose of treating the indigent who could not afford hospital care. Built by a mason, John Tucker, and a carpenter, Henry Bayard, it was completed in 1831. 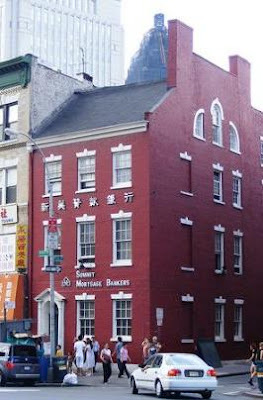 The unimposing orange-brick structure was two stories tall, surrounding by the simple cast iron fence with acorn finials and occasional Federal-style palmettes still intact today. Over the door a marble plaque was inset into the facade which read: Northern Dispensary. Instituted 1827. Built 1831. Heal The Sick. Despite its motto, some leaders of the Northern Dispensary had second thoughts when the destitute hoardes began arriving. In its annual report the board voiced concern over exposing the physicians to "the miserable and degraded of our species, loathsome from disease and...disgusting morals." Yet heal the sick it did. In its first annual report the Dispensary documented 3,296 patients. Among those treated in 1837 was Edgar Allan Poe who complained of a winter cold. And as the city grew northward, the numbers treated in the Dispensary increased. By 1855 a third floor was necessary. The change in brick is noticeable between the second and third floors even today. Although the unadorned window lintels and sills were copied, a mid-Victorian crenelated cornice was included for interest; however by the turn of the century it had disappeared. Around that time the work of the Dispensary was at its height, caring for 13,809 patients in 1886. 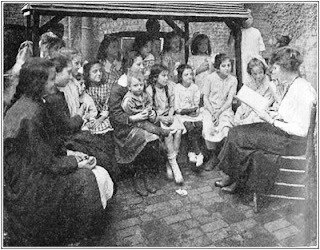 With the advent of the 20th Century, fewer patients were seen, declining to under 5,000 in 1920. Just prior to World War II around half of the Dispensary's efforts was in dental work and by the 1960s it had become solely a dental clinic for those who could not afford other dental care. Problems came in 1986 when, as the AIDS epidemic was sweeping Greenwich Village, the Dispensary refused to provide dental services to AIDS victims. Reminiscent of the 1828 concern over "the miserable and degraded of our species, loathsome from disease and...disgusting morals," the doctors disregarded both the Hypocratic Oath and the motto that had been displayed over the door for 150 years: Heal The Sick. 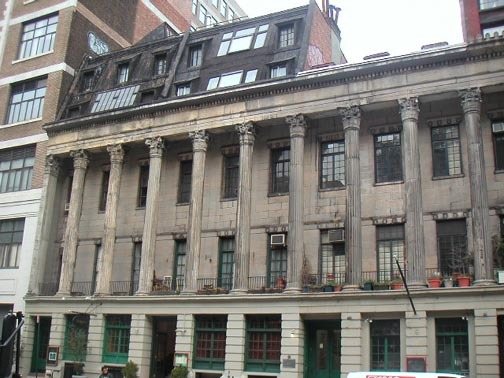 Rather than treat its patients, the Northern Dispensary closed down in 1989 after a battle with New York City's Human Rights Commission. 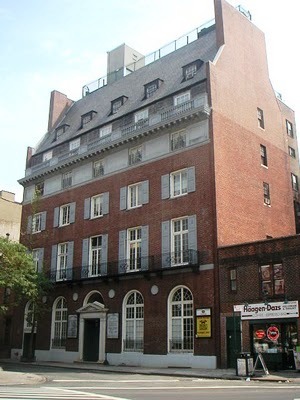 A year later the Roman Catholic Archdiocese of New York purchased the building with the somewhat ironic hope to open a 15-room haven for homeless people with AIDS. The plan was thwarted by a group of concerned neighbors and nearby business. Having sat empty for a decade, the building was sold to William Gottlieb who died a year later. The beautiful triangular building still sits unoccupied. Twenty years of dust has accumulated on the dental equipment that was abandoned inside. The 1820s deed restrictions limiting the use of the property for a medical facility for the poor are still in place, making rehabilitation of the building more difficult and its future unclear.